Encouraging students with disabilities to think deeply about mathematics has always been one of the goals of this blog. But since the audience of this blog is mainly teachers, the goal is really to encourage teachers to encourage students with disabilities to think deeply about mathematics. So here goes…Ask More Questions! But, the questions I’m referring to come after you ask those initial questions. Sure, you proposed a math problem to your students or even better they proposed one to you based on some mathematical situation you presented, but then what happened? Andrew Stadel recently wrote about and collected questioning strategies from the MathTwitterBlogosphere. His focus was on strategies for asking questions before and after the launch of the day’s mathematical problem, task, lesson, activity, etc. My focus has been on post-launch questioning strategies. The stuck/unstuck questions and questions to explore student misconceptions. In an NCTM article, which discusses warning signs of instructional moves that generally lead to taking over student thinking, the alternative teacher moves are also focused on asking questions when a student is stuck or has a misconception. Why Count Your Money, When You Can Estimate? The end of spring break means we are in the midst of our school’s spring financial literacy unit. This is always a favorite of both students and teachers. We ground our work in very concrete community related activities, such as going to the bank and going to the store. Students love spending money and teachers love going on community walks in the spring and early summer. Everyone wins! Before we start going on trips, I wanted to do some number sense work with my classes relating to the counting of money. As we left for spring break I tweeted about an estimation idea inspired by counting money. Right on cue, Graham Fletcher, who writes his own amazing blog here, gave me some sage advice. I took Graham’s advice and ran with it. As much as we like our money math standards to relate to identification of coins and bills and getting accurate counts on prices and change, estimation is a key skill in any “real world” financial transaction. When was the last time you stood at the supermarket register counting out the entire pile of change you got from the cashier? Generally, we look at the coins in our hand and make a quick estimate as to whether we think it is the correct change or not. So I used the idea from my tweet, took some inspiration from fellow math teachers Andrew Stadel and Joe Schwartz, and turned it all into a financial literacy lesson. 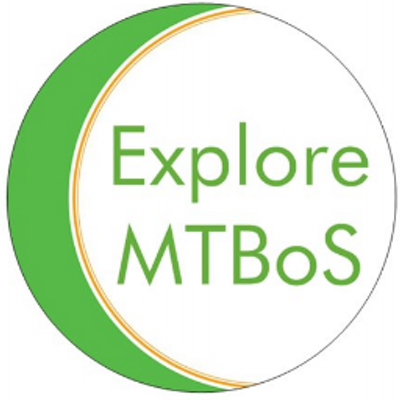 As I have become more involved in the MathTwitterBlogoSphere (#MTBoS) it has been a pleasure to share the really great material created by the MTBoS with other teachers in my school. Our school has three sites. There is a grammar school (elementary and middle), a high school and a post-high school which assists students in the transition from school to “the real world” in a more targeted, vocational way. Earlier this year I was able to share sites like Estimation 180 and Would You Rather with teachers at all three sites. One of the middle school teachers has integrated Estimation 180 and the work of Andrew Stadel into her classroom culture. What follows is her reflection on this process in the form of an edition of the #MTBoS Modification Series. You can also read the first edition that featured Mathalicious. Students in one math group have been using Estimation 180 as a starting point for further exploring the concept of estimation. They know that to estimate means to make a guess based on known information. When you are asked to estimate it is often within a context and you must use any relevant information (known or given) to guide you. After several months of answering Mr. Stadel’s prompts on the Estimation 180 website, students created their own original estimation projects. They were encouraged to research a topic of interest and provide enough information through facts or visuals so that classmates could make a reasonable guess. The amazing science podcast, Radiolab, recently did a show titled “Worth.” Andrew Stadel, over at Divisble by 3, blogged about some math problems this podcast made him think of. The podcast didn’t necessarily make me think about math problems, instead it made me consider reasoning about value and quantity. More specifically, is everything quantifiable? Which makes me wonder can everything be expressed or measured in a quantity? Can everything be quantified?